Blast Off to Reading! 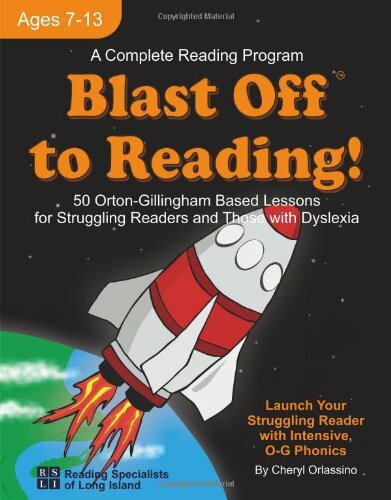 is a complete reading program for those students who have dyslexia or for those who simply struggle to read. This Orton-Gillingham based program will systematically take your student from the most basic units of sounds to multi-syllable, complex words in 50 lessons. 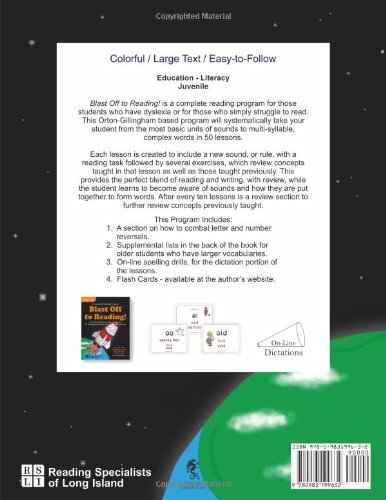 Each lesson is created to include a new sound or rule and a reading task followed by several exercises, which review concepts taught in that lesson as well as those taught previously. This provides the perfect blend of reading and writing, with review, while the student learns to become aware of sounds and how they are put together to form words. After every ten lessons is a review section to further go over concepts just learned. This book is colorful, with large text and a layout that is created to be visually appealing to children. 1. (Free) On-line spelling drills, for the dictation portion of the lessons. 2. (Free) Flash Cards (PDF format). 3. (Free) On-line phonics games for fun reinforcement. All of the above can be found at the author’s website. Not sure? 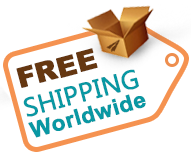 Try the first five lessons for FREE (see “More About the Author” forthe author’s website, then navigate to the book’s product page and click on “tryit”). 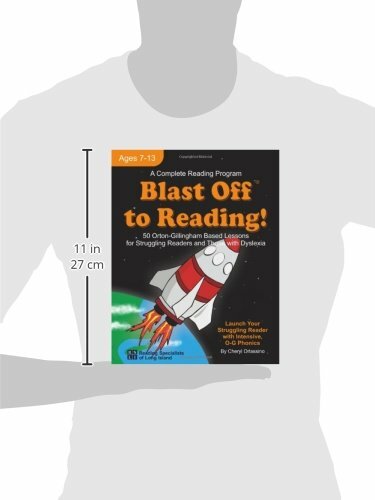 This reading program is for children ages 7 to 13. 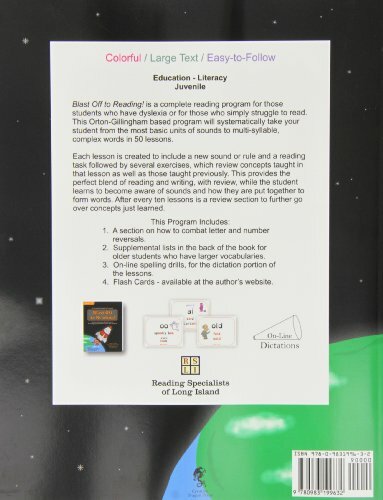 For younger students, use I Can Read (books A & B), for students ages 14 to adult, use A Workbook for Dyslexics, 3rd Edition.